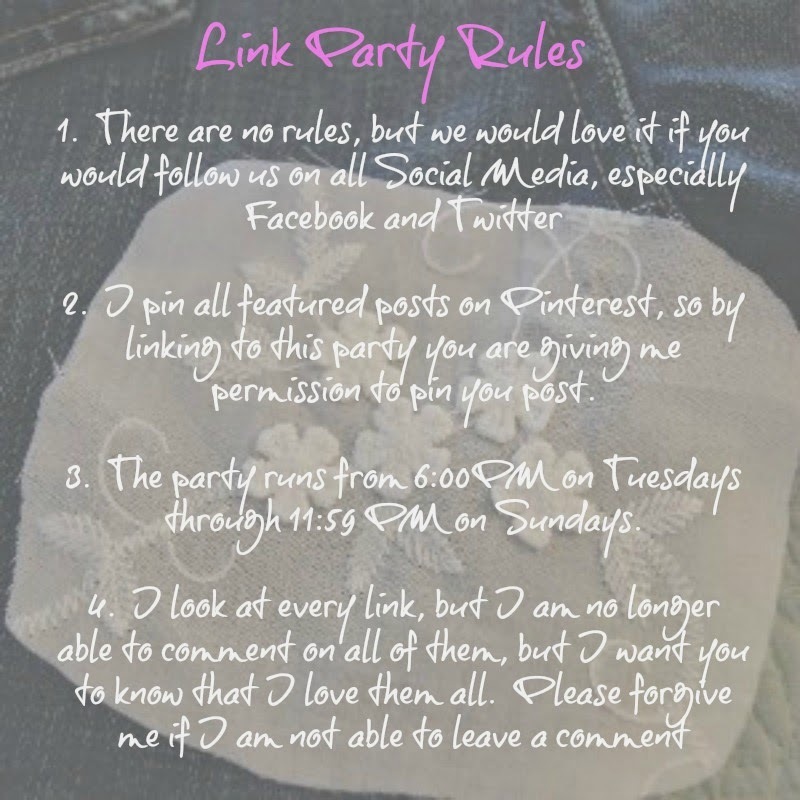 I want to thank everyone who shared with Wednesday's Adorned From Above Link Party 99. We love seeing all of your posts. Sorry the party is up late and thank you so much for your patience with not have the party for a few weeks. It is up late, because we have been furniture shopping for days. Here is a look at a few of the thing that we bought. Some pieces I need to do something with. I'm just not sure what yet. I love my new lacquer bar. It is so pretty, I just have to clean it up a little bit at the bottom. I am going to have to do some research first, because it looks like it has been bumped with a vacuum quite a bit and I have never worked with lacquer before. I'm not even sure if the bottom was lacquered. I also like the entertainment center. We have had the TV on a tiny, little, cheap table from Target, so I am excited to actually have a piece of furniture in the living room. 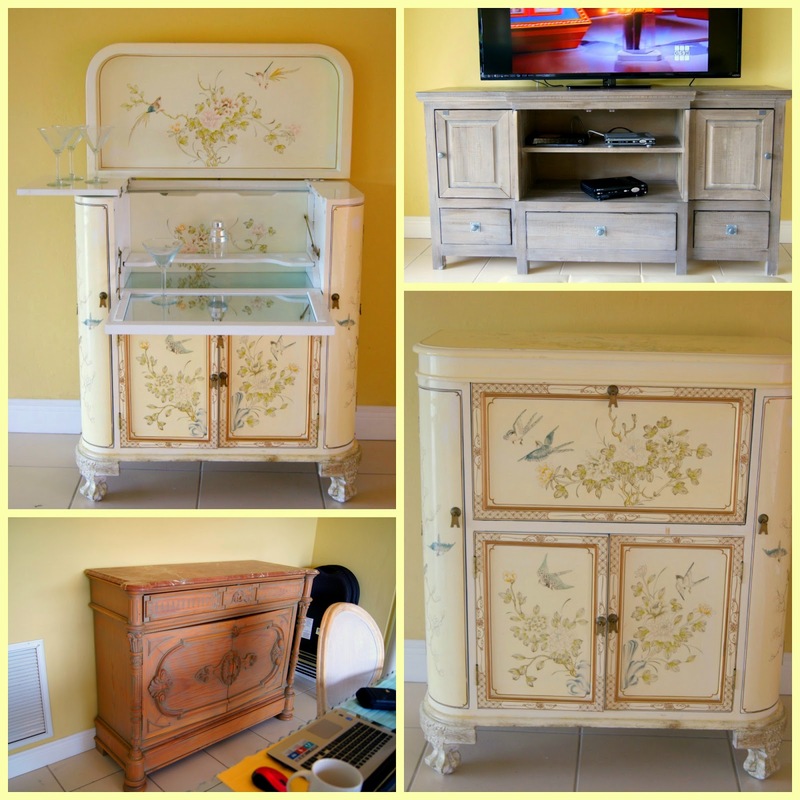 The other thing we bought is the buffet for the dining room. I needs to have something done to it. I love the lines and design, but it is very orange, and doesn't go with the rest of the house or the furniture in the dining room. It has a piece of marble on top, which is really pretty, but I think I either need to paint and distress the piece or maybe white wash it. I'm just not sure. If you have any suggestions, I would love your recommendations. I will do it sometime in January, when I have a little more time, so I would really love some help from all of you furniture people out there. If I don't hear from you I may email you for help. 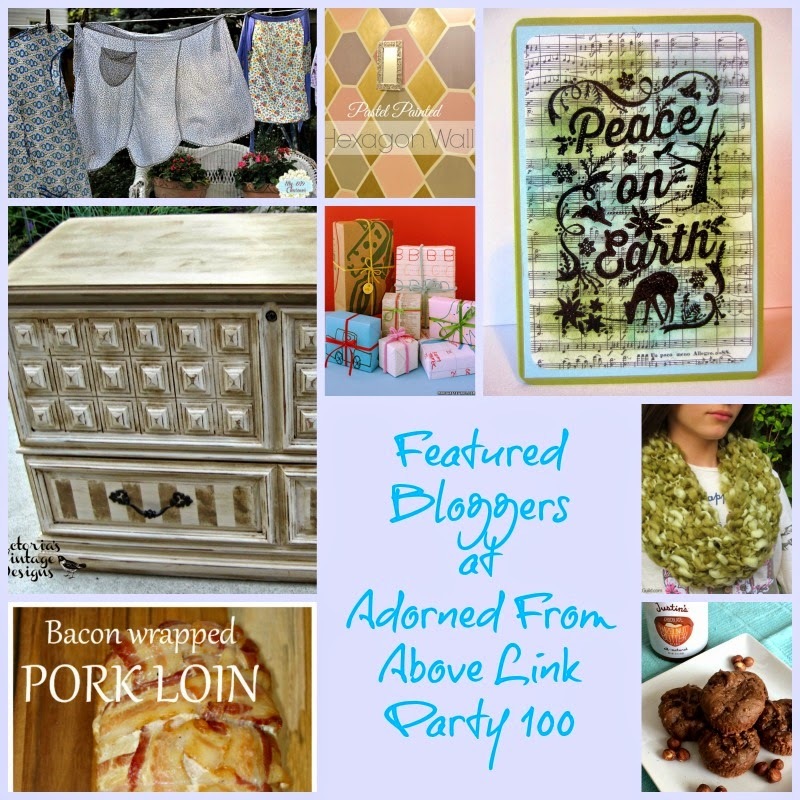 Welcome to Adorned From Above Link Party 100. 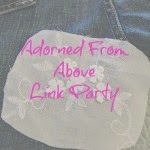 Here are the featured bloggers from Adorned From Above Link Party 99. They were so hard to choose from. All of you are so amazingly creative. I think all of the posts from this party were so good. I was totally blown away. It was very difficult to pick the featured bloggers. I hope you take a look at all of them, because they are really good. We are happy to have you at this week's party. We always love hearing from you, so leave your comments. We are slowly working through all of the emails that we have received. We will be answering them over the next week. For John truly baptized with water, but you shall be baptized in the Holy Spirit not many days from now. But you shall receive power, the Holy Spirit coming upon you. And you shall be witnesses to Me both in Jerusalem and in all Judea, and in Samaria, and to the end of the earth. And they were all filled of the Holy Spirit, and began to speak in other languages, as the Spirit gave them utterance. And when they had prayed, the place where they were assembled was shaken. And they were all filled with the Holy Spirit, and they spoke the Word of God with boldness. I know it's been a while, and it has been a long haul for us. We are presented with so many different issues in life, and I guess how we handle them can make all of the difference in the world. First I want to thank everyone for their prayers and heartfelt notes. My neck is slowly getting better, which is wonderful. A miracle from God. Our house and cars will slowly recover from the hail storm we had in Denver last month. There are good things like the house will be repainted and new siding will be put on. Which are good, but the roof has to be replaced, which sounds great, except we just replaced it in July, but I guess two new roofs in a year is better then no roof at all. My car will be fixed, David's is totaled, so not sure what we are doing there, but life is good. We are all healthy and happy and that is the most important thing. The parties will start again on Tuesday, I'm excited. My blog posts will be sporatic as I get ready for more changes in my life. We are moving to the Fort Lauderdale area of Florida right after Christmas and I am trying to pack up our house and get ready for that. As I write this post I am listening to a song call These Are The Words I Would Say by Sidewalk Prophets. It is so fitting for today. I have been pretty worried about moving someplace where I don't know anyone, but I have really been praying and asking God for guidance and today I found a church, and I am really excited. It is called The Harbour Church at the Broward Ministry Center in Pompano Beach. I am so in awe of what God does in our lives. The worship music was amazing and the sermon was so anointed that I could feel God all over me. 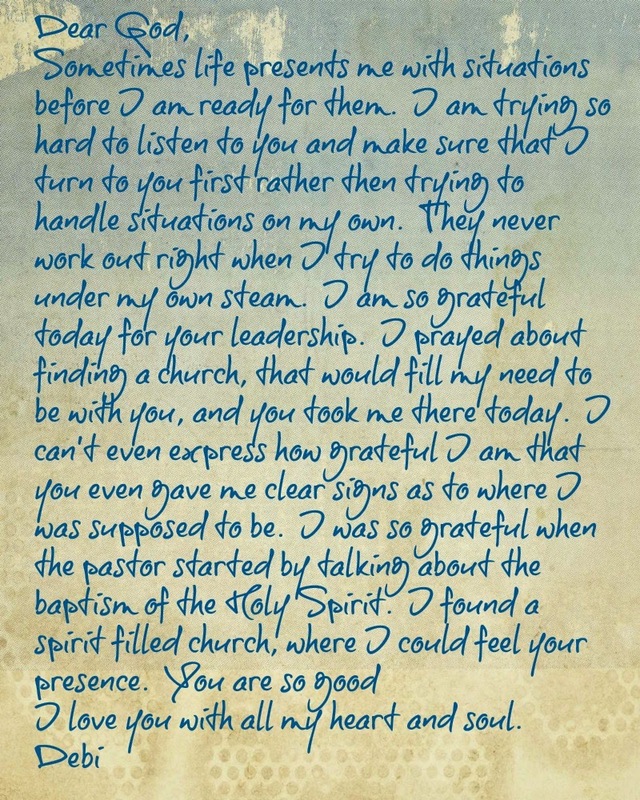 This morning when I found the church I asked God to let me know if this is where I am supposed to be, and he let me know loud and clear that it was. I am so very grateful. I love hearing from all of you and again, thank you for all of your thoughts and prayers over this trying time. Attention all bloggers - have you heard of Warby Parker? They are an up-and-coming company that sells awesome designer eyewear, both prescription and sun. Warby Parker believes that buying glasses should be easy and fun. It should leave you happy and good-looking, with money in your pocket. In addition to their many collaborations with celebrities to produce fashion forward eyewear, they also believe that everyone has the right to see. For every pair sold, a pair is given to someone in need. Now this very progressive company is looking for new affiliates to join their program. You can earn commissions on sales and leads. Just sign up for their program and you can start promoting right away! This is a great company that I really believe in. I love working with them and they are a great company to work with. I also love their philosophy and that they give back. For every pair of glasses sold they also donate a pair, which is amazing. If you look at my picture, you see that I wear glasses. I am considered legally blind without glasses, so for me they are a necessity. I am fortunate enough that I can buy glasses, but I was not always able to do this. I really love that this program helps other get a pair of glasses if they can not buy them themselves. I really hope that you will sign up to be an affiliate today. Just follow the link below and join their program now!!! !